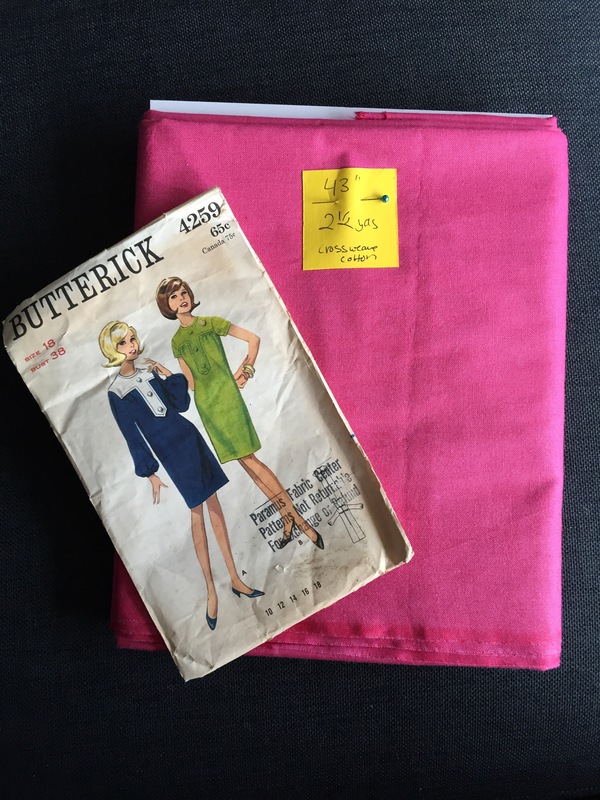 I’ve had Burda 7494 in my stash for years. 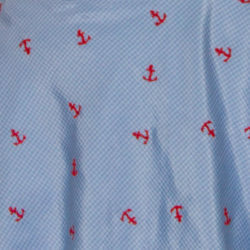 I’ve always loved this pattern with the slight cap sleeve and the peter pan collar. The problem was that it only went up to a Size 20 and I was sewing a larger size at the time. 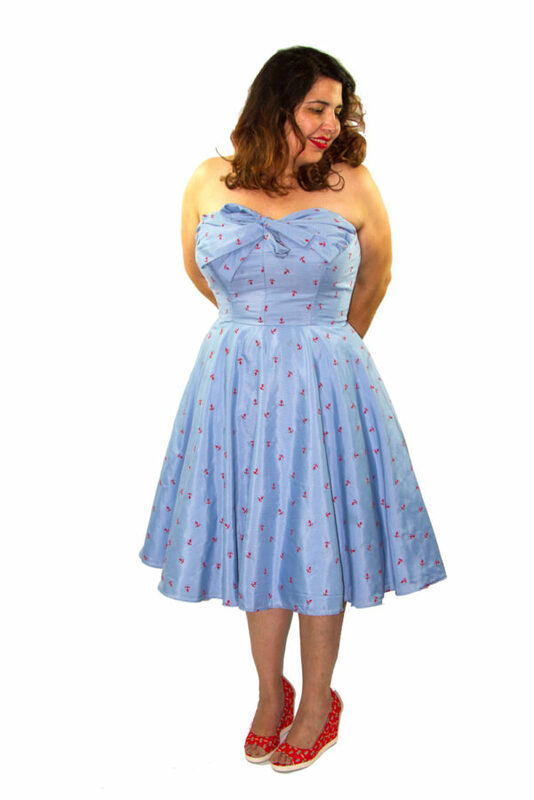 Then I took the Palmer/Pletsch Fitting class at Fabric Depot and I learned that I was a Size 18 (with an FBA). Rejoice! 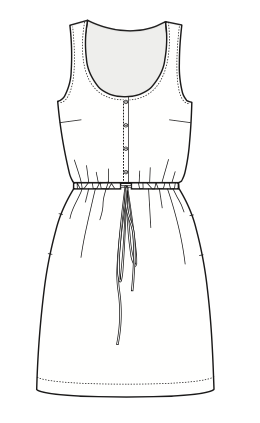 When my friend Alexis asked me to be the godmother to her daughter, I volunteered to sew a baptism gown (post on that soon!). 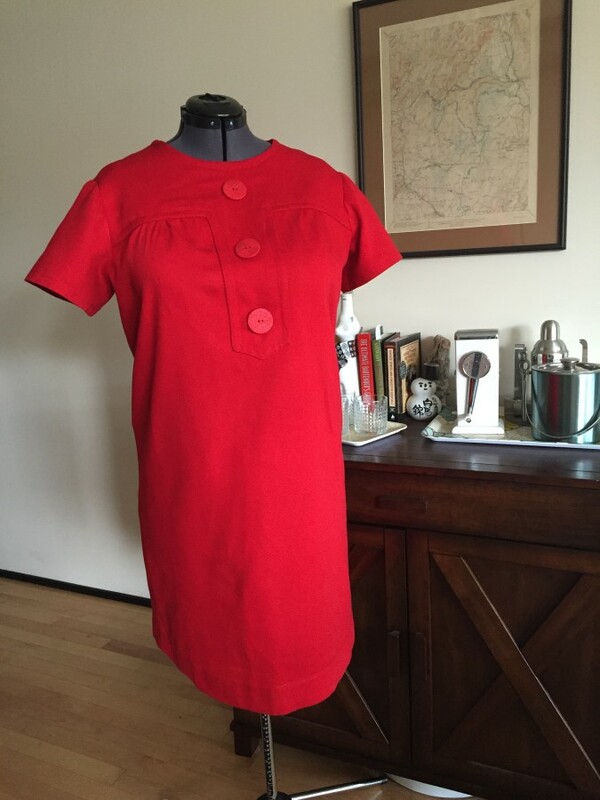 So of course I also needed to make myself a new dress! I was so excited to finally use this pattern. This pattern is offered in sizes 8-20. I used size 18. The primary adjustment I did was a 2.5″ FBA to the princess seams in the front. I also did a 3/4″ broad back adjustment. I also added width to the skirt to match the width of the adjusted bodice. I also followed Julia Bobbines’ advice and swapped out the pleated skirt back pieces for the darted skirt lining. I had purchased some luscious bemberg lining but since the dress fabric was stretch and the lining was not, I chose to omit it. I also chose not to use the peter pan collar. When I tried the dress on with the collar, it just looked a little too sweet for me. 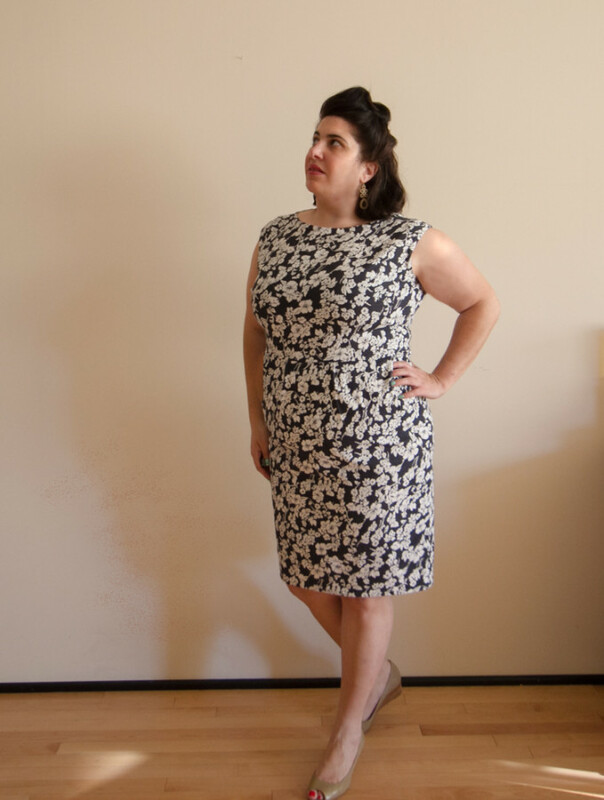 I had a difficult time finding the right fabric for this dress, since I was looking for a stretch floral print. I ended up picking up this floral stretch twill from Fabric Depot. Up close the dark blue almost looks like denim. I liked using a heavier fabric because it allowed me to omit the skirt lining. I also like that it helps smooth out some lumps and bumps that you get when wearing such a fitted style. I used bias tape to bind the neck and armholes. All seams were finished with the serger. The pleating in the front is not the most flattering. It accentuates my tummy. The pleating also sticks out a little which makes it look like there should be pockets there. This would actually be okay with me if there were pockets, because I love pockets! Yes. 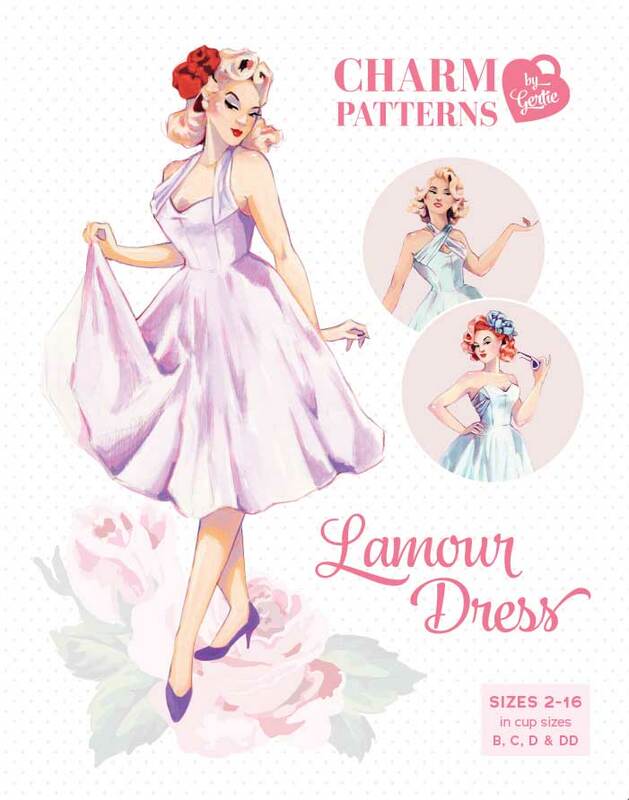 I think this dress is super cute and I kind of want one just like the pattern photo! It’s a black dress with small white polka dots and I adore polka dots!! 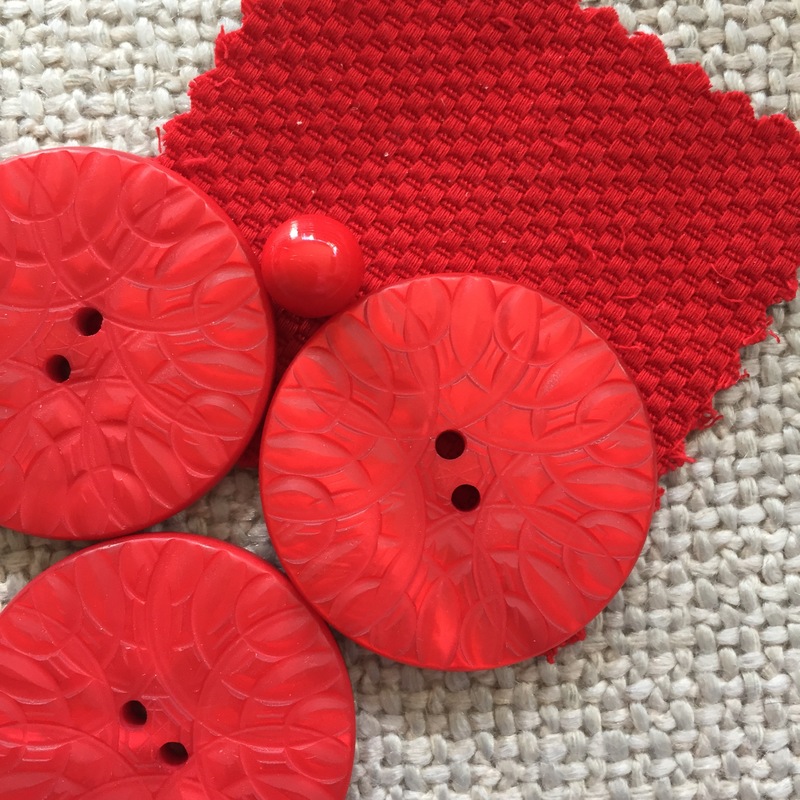 The latest issue of Seamwork Mag from Colette came out yesterday and I immediately went to check out the patterns. 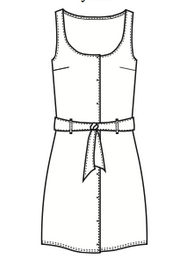 In this issue you get a dress pattern and an odd cropped top/jacket. 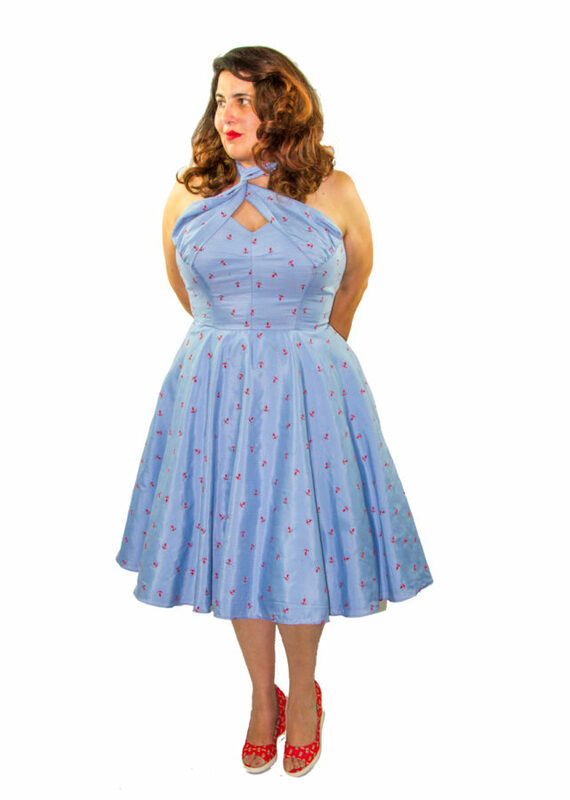 The Adelaide dress is pretty cute and I was about to buy it when I realized how much it looks like the True Bias Southport dress I bought recently. 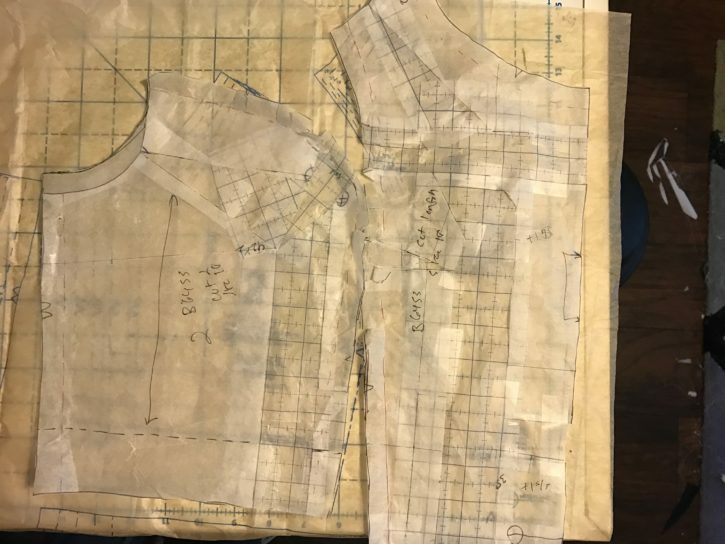 I realize they are not exactly the same, but when you look at the technical drawings you can see the the bodices are nearly identical. They differ on the skirts and how the waist is pulled in. On Adelaide it’s a combination of back darts and a tie belt. Southport uses a drawstring. Lastly, the snaps on Adelaide run the whole front, while Southport just has buttons on the bodice. But it would be easy enough to hack one into the other! Since I already bought Southport, I’m going to make that up. I have the perfect fabric to make the maxi version! However my next one might be an Adelaide hack since I already bought the snaps!